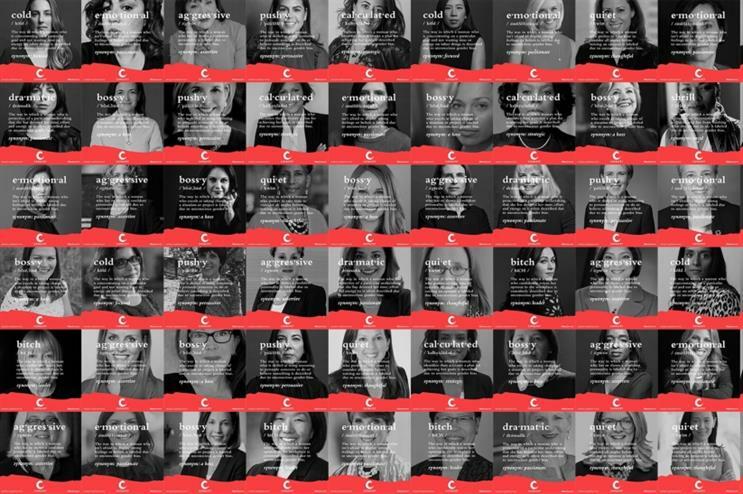 The International Women's Day campaign turned heads among Hillary Clinton, Sheryl Sandberg and more. Dozens of brands and organizations launched programs last week on International Women’s Day, but not all of them can say they saw as impressive results as Catalyst’s #BiasCorrect initiative. The women empowerment nonprofit kicked off its program to tackle unconscious gender bias at the workplace with a computer plug-in that suggest alternative language for potentially harmful words used in chat-based platforms at the office, such as Slack. For example, if a woman is described as "pushy," it will correct to "persuasive." Since the launch on Friday, the website has received 99,000 visits, 32 million Twitter impressions with #Bias Correct content and more than 140 social posts from high-profile influencers, such as Hillary Clinton and Sheryl Sandberg. The plug-in was also downloaded by 38 companies in the first day of its release and Catalyst garnered 1.24 million social post impressions. Joanne McKinney, CEO of Burns Group, which worked on the initiative with Catalyst, said the agency knew it needed an idea to truly resonate since the non-profit had a limited media budget. After the shop saw immediate positive reactions from high-profile female leaders before the launch, McKinney said the team knew it was onto something. "While we were confident that the campaign would most certainly make an impact, nothing could have prepared us for the dramatic sentiment that it provoked," she added. "The act of placing a negative/biased word on the face of a woman evoked so much positivity. Across regions, industries, age groups, gender, the outpouring of support and participation in the campaign was heartwarming and highlighted the true universality of the issue." Most importantly, McKinney said the campaign was about action. She said: "Every International Women’s Day, there are many provocative campaigns that spark conversations around these important issues, but after the day is over, what changes? It was really important to our team at Burns Group that this wasn’t a stunt but a functional tool that is actually capable of helping people fight their own bias. International Women’s Day might be over, but the work continues for Catalyst, who supports gender equality every day of the year."